I am still loving my Silhouette Cameo, and am frequently using it to make cards. However, I keep forgetting to share them before I slap a stamp on them and send them on their way! Not today! 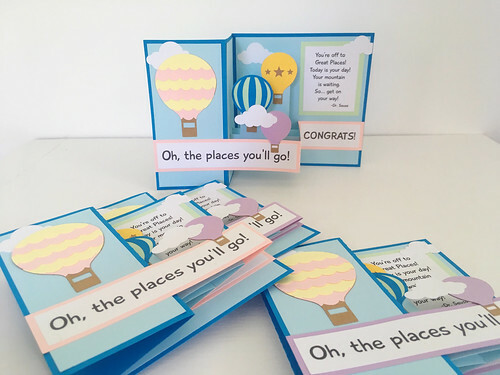 I have some graduation cards to share, that are inspired by Dr. Seuss' Oh, the Places You'll Go book. 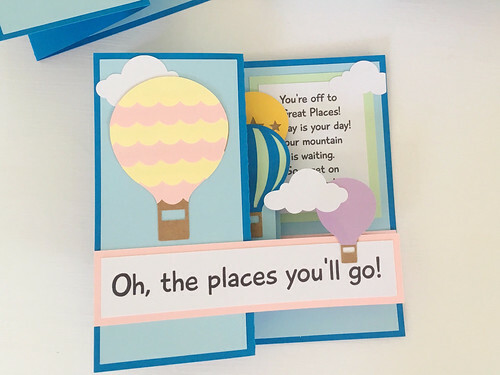 I've made several different cards from Lori Whitlock's designs, and have loved every single one of them! They are very intricate, but not too difficult! I made seven of these cards, which did take a bit of time, but I think the end result is so worth it! I made envelopes for them with a square 5 3/4 inch envelope template from Paper Source. (I love their templates!) They are the perfect fit! 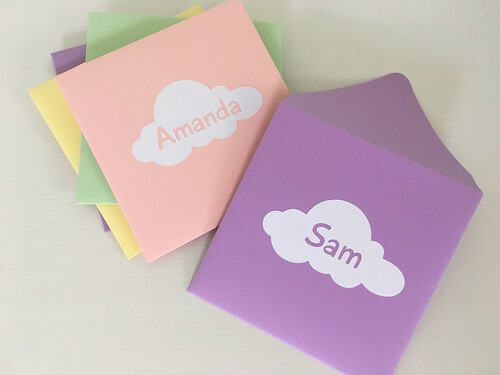 I also used one of the cloud designs and the Silhouette to cut name tags out of label/sticker paper. I just LOVE how the cloud stickers came out! 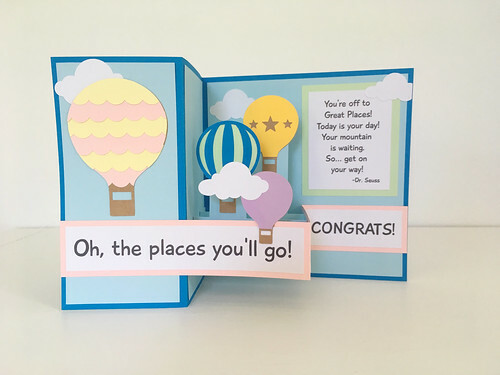 I just love starting with a great card template, picking out my own colors, and tweaking things here and there to make just the right personalized card! How about you? Do you enjoy paper crafting? !